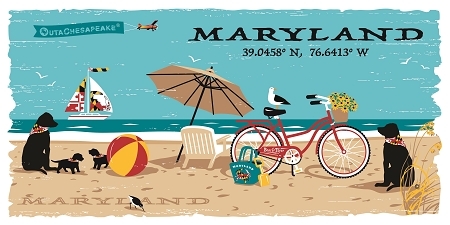 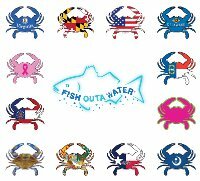 Maryland State Flag meets Crab Outa Stix. 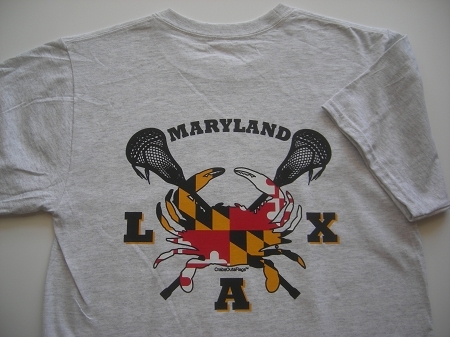 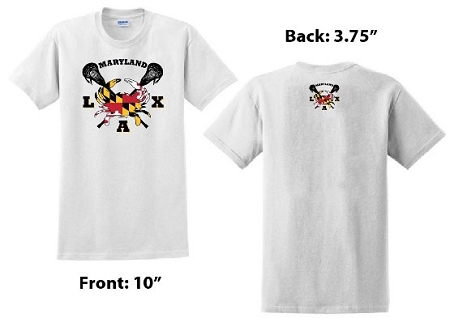 Vibrant t-shirt with large LAX crab on the front and small image on the upper the back. 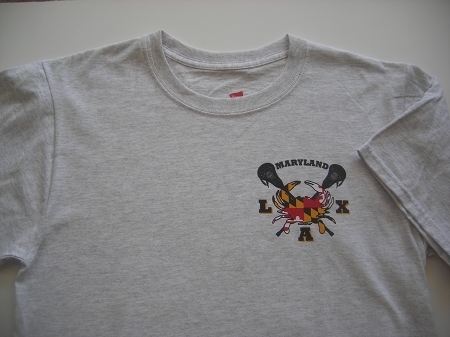 Gildan 5000 heavy cotton (5.3 oz) white shirt with seamless collar.